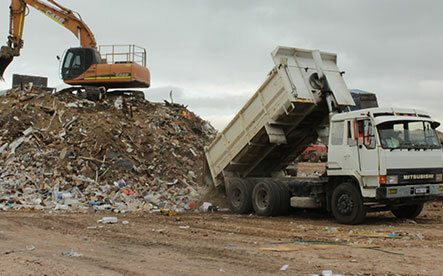 Seabreeze skips recycle up to 80 % of our waste material from all of our skip hire operations in Perth. 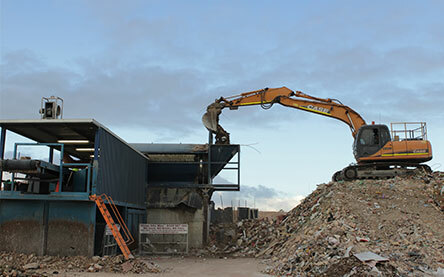 Stage two of our recycling process is started with our excavator sorting any large items into areas offside, before loading the sorting plant with smaller general waste items. 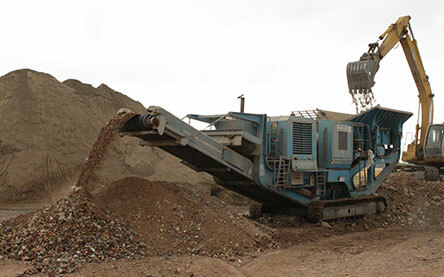 Our Heavy Duty Recycling Trommel is loaded with waste material. 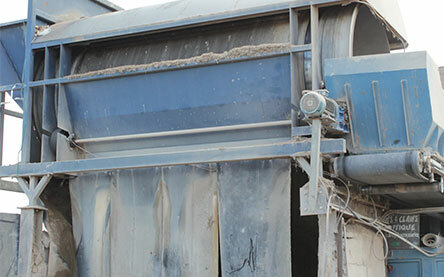 This material is normally laden with sand and soils that are easily removed in a sifting fashion with the aid of the spinning trommel. These ‘fines’ are sieved and stored waiting for pickup and further distribution. 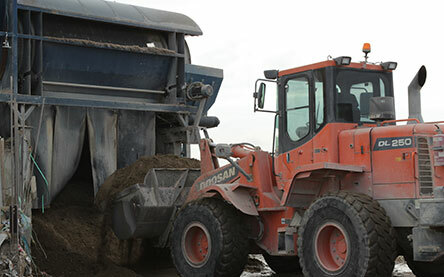 The sieved sands and soils are collected with front end loaders and taken to an area of the yard for further treatment and storage. 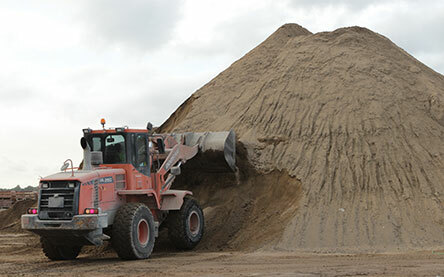 Stage five requires heavy earth moving equipment to transport the sands to our stockpile areas. These sands are a by products of our skip bin hire service and are stored until they are allocated to builders or donated to local community organisations. Stage six. The rest of the waste is then passed onto our picking belt that runs off the trommel. Our sorting team, removes all contaminated or hazardous waste that cannot be added to the recycled brick and concrete rubble. 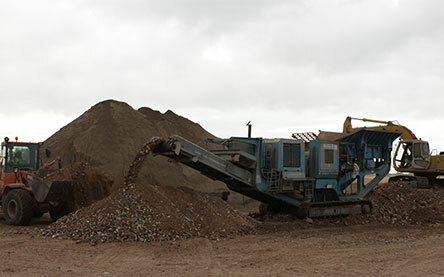 Stage seven involves further sorting of the larger brick and concrete rubble from our stockpiles and loaded into the crushing plant. This material is then stockpiled ready for use in our road base products. Stage eight is the final stage and we are left with a heavily refined product suitable for products such as road base. Seabreezeskips have been providing Perth skip hire services in Perth’s Northern Suburbs for many years. During this time Seabreezeskips have been at the forefront of recycling waste materials from both commercial and residential builders. What was previously used for landfill is now recycled , refined , and re-purposed into other materials that go onto form the base of our other building products. 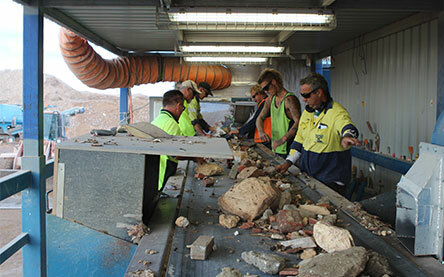 We are proud to be able to recycle Perth skip bin waste at our recycling facility in Neerabup. It is a far better alternative than dumping our waste directly into landfill at a high cost to both consumers and the environment. I contacted Northside Skip Bins to request their support in providing a large bin for a community service project involving the refurbishment of a home to be used as a cancer patient accommodation service. Waste removal was obviously an important part of the project. Given the cause, Northside Skip Bins were quick to respond and provided exactly what was required to the site in Two Rocks. On behalf of everyone involved in the project, we cannot thank you enough for your community spirit and willingness to assist. Can I just say, what a fab service and excellent communication I have received from start to finish. Will definitely recommend and reuse with no hesitation. Just a short note to say thanks for your prompt service on delivery of the skip. Also for the 2 meter skip you let us have for the week-end. Really much appreciated. I would recommend your company to friends who might require a skip. On behalf of the Speedway Motorcycle Club WA inc I would like to thank you for your generous donation and help with the supply of the crushed material we are using to establish our new senior speedway stadium on Old Yanchep Rd, Neerabup. This new venue is a major undertaking by our relatively small club. As we are funded primarily by club memberships and spectator generosity at our junior facility, we do expect the project to progress at a somewhat restricted rate. However, your generosity has assisted us greatly in moving the project forward, which is having a flow on effect in raising the profile of our project and helping to attract further interest. Once people begin to see the progress they start to get interested and the offers of help begin to flow. I have also attached a copy of the proposed senior venue layout for your information. Again, thank you Mike for your generous help with our project.